In Hidalgo County, more than twice the amount of voters cast ballots on the first day of early voting this year, compared to the midterm election in 2014. Hidalgo County Elections Department unofficial totals released Monday evening show 14,705 ballots were cast at its 34 early voting polling locations. Early voting kicked off Monday morning and continues through Friday, Nov. 2. In 2014, 7,098 voters cast their ballots on the first day. In 2016, a presidential election year, 18,525 voters showed up to the polls on the first day. The ballots cast Monday amount to about 5.4 percent of 363,815 voters registered in the county. The busiest locations were the Elections Annex building in Edinburg, Lark Community Center in McAllen, Weslaco Business and Event Center and Mission City Hall, according to Hilda Salinas, a Hidalgo County Elections Department spokeswoman. At the sole early voting polling location in Weslaco, where voters saw no line to cast ballots late Monday afternoon, 869 residents submitted their ballots electronically. The Hidalgo County Elections Department received 4,947 mail-in ballots on Monday. Statewide and local races are drawing residents to the polls, including the race for U.S. Senator pitting Sen. Ted Cruz, R-Texas, against U.S. Rep. Beto O’Rourke, D-El Paso. 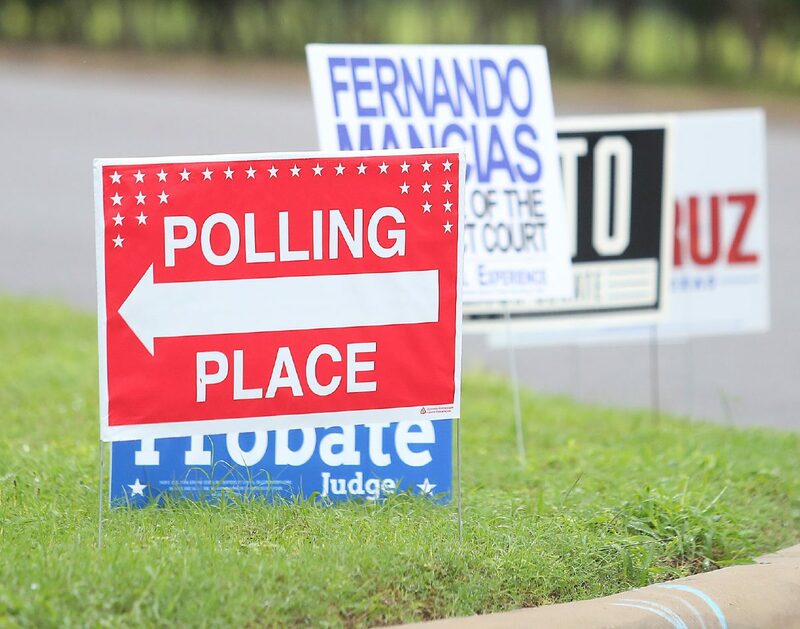 Local elections include city races in Weslaco, Donna, Edcouch and Palmview, as well as school board races in Edinburg, Weslaco, La Joya, Donna, Mercedes and Edcouch-Elsa.